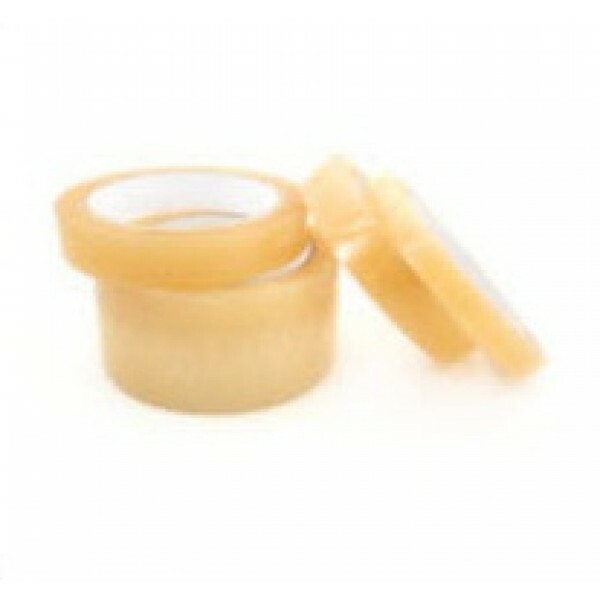 ESD safe clear cellulose tape is 2.4 mm thick with a charge decay of <.014 seconds. Available on 3″ cores in widths of 1/2″, 3/4″, 1″ and 2″ (216′ in length). Also 1″ cores in widths of 1/2″, 3/4″ and 1″ (108′ in length). Size ½", 3/4", 1" & 2"